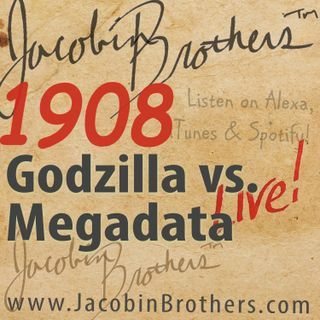 JBL1908 / Godzilla vs. Megadata | Jacobin Brothers™ Live! There is a hidden predator that stalks every move you make. From predictive analytics to digital surrogates, your behaviors are captured and your personality profiled. Can Godzilla save the people from Megadata?